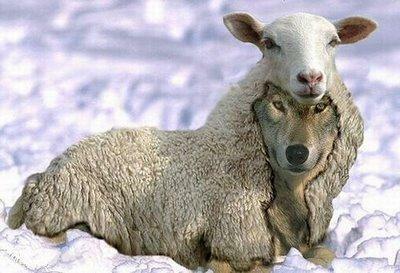 Beware the Tax Wolf in sheep’s clothing! Had a great idea for a Tom Corbett campaign commercial that highlighted the Tax & Spend philosophy of Tom Wolf, the Democrat’s candidate in the Pennsylvania Governor’s race. Wolf looks to unseat Corbett in this November’s election that is chock full of Republican opportunities locally, state-wide, and across the country. The setting for the commercial is some nondescript social event … a party, fund-raiser, art exhibit, etc. Men and women are socializing – shown on camera from the neck down – in relaxed conversation, distracted somewhat from the goings-on around them. The female narrator describes the plans Mr. Wolf has for Pennsylvania’s fiscal and economic future under a potential Wolf administration. As she does, a man in a business suit, haphazardly cloaked in the pelt of a woolly sheep, circulates among the distracted party-goers. The man in sheep’s clothing slips a hand into a woman’s pocketbook and pulls out a wad of cash. 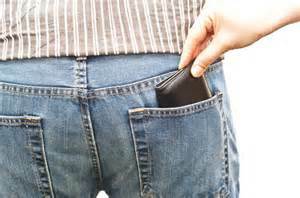 The sheep-Wolf adroitly slips a wallet from a male patron’s back pocket. And the Wolf extracts a money clip from a man’s jacket pocket. Then the camera pans up, to reveal a smiling sheepskin-clad Tom Wolf, gloating over a thick wad of cash. The wolf-in-sheepskin concept is particularly apropos, given Tom Wolf’s repeated attempts to portray himself as one of us; caring about our jobs and home finances; and fretting over property taxes and pensions, when in fact, he’s more a 1%’er than even Allyson Schwartz! Certainly you can slip a few more warnings into this message, such as Wolf’s plans for significant increases in personal income tax rates, or what higher taxes might mean in fewer employment opportunities (i.e. jobs), or how Wolf’s failure to acknowledge the Public Pension problem will continue to exert upward pressure on local Property Taxes. By the time the commercial fades to ” … and I endorse this message”, you have a political crime spree to challenge the legends of Bonnie & Clyde and Henry Hill’s buddies from Goodfellas! Unfortunately, this Wolf commercial never made it from Cranky Man-conception to Tom Corbett’s campaign, but they created several good Wolf-themed ads of their own. Their most effective ad portrayed Pennsylvania citizens “longing” to pay more in taxes. Effective because it focuses on working people. who scrimp to make every dollar last just a bit longer, and highlighting what a Tom Wolf-led State administration would cost them. Getting Tom Wolf to give details on his taxing and economic plans for Pennsylvania is like trying to nail down smoke. He claims that only after a detailed look at Pennsylvania’s financial books will he be able to tell you how high he will raise your taxes! But wait! Didn’t Tom Wolf serve as Pennsylvania’s Secretary of Revenue?!? Has he not kept abreast of State financial conditions before he decided to run for Governor on a higher-taxes-are-fundamental platform? How believable is it really that Tom Wolf has insufficient information to form a rudimentary picture of Pennsylvania’s economic health? What exactly is Tom Wolf afraid of??? He’s afraid that Pennsylvanians will get a look at the real Tax Wolf under all that fluffy Professor Middle Class sheepskin! Raise the Personal Income tax rate for everyone from the current 3.07% to potentially 5% since Pennsylvania’s constitution prohibits charging one group – i.e. The Rich (i.e. anyone making over just $90,000 a year) – more than anyone else. This means, if your Employer withholds State Income Taxes and you fit under the anticipated $90,000 Rich Bracket, you might have the “pleasure” of watching The State earn interest on YOUR money while you wait until Tax Season to recoup what you can through the refund process! Replacing $1 billion in “education cuts” the Democrats disingenuously claim Governor Corbett imposed on Pennsylvania schools. You must – of course – ignore The Big Lie of the Democrat’s campaign vs. the truth of the loss of federal stimulus funding. Also turn a blind eye to the fact that Governor Corbett has increased Education funding by $1 billion since taking office in 2011. Accepting the Affordable Care Act “deal” to expand Medicaid, despite the fact that the federal government will only fund the added obligation to 90% of costs after 2016. No doubt Tom Wolf will break a hip jumping onto the Obamacare Medicaid-expansion wagon! Projected cost: $1 billion in FY15-16; climbing to $4.1 billion by 2021. Fully fund the poorly managed School District of Philadelphia: Despite the approval of a cigarette tax increase and changes (Finally!) to the financing of the teacher’s union healthcare program, the SPD still faces an $8 million deficit that remains from the 2014 fiscal year and $70 million shortfall for fiscal year 2015. All this after SDP borrowed $300 million over the past 2 years. What are the chances this problem goes away even if the SDP is “fully funded”? Refusing to address the Public Pension crisis, which currently consumes 63% of all State revenues to cover EXISTING State and local pension obligations! 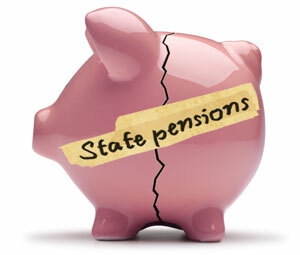 Cost of bridging the Pension Gap: $1300. per Pennsylvanian! So what is Tom Wolf’s plan for paying for this Wish List? Higher taxes, of course! As early as 2007, Wolf – as Rendell’s Secretary of Revenue – testified about the need to raise State Income Taxes. 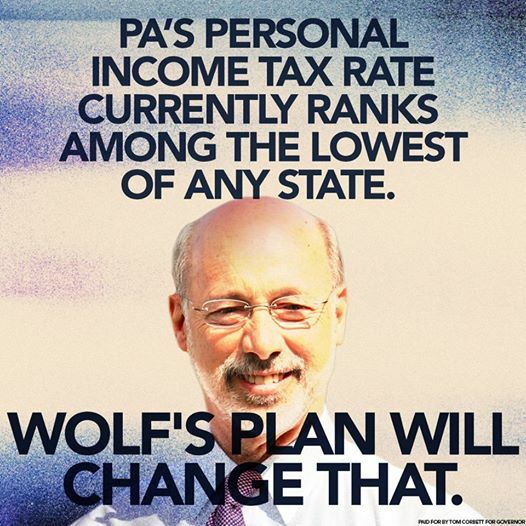 Tax increases seem to be a constant Tom Wolf theme. Yet aside from raising severance taxes for the Natural Gas Industry (NGI), Wolf is actually committed to reducing Corporate Tax Rates. That’s right! While Wolf is raising Income Taxes on you, he will look to reduce the tax burden of Corporations! Consider then who will actually pay for that natural gas Severance Tax! (Hint: It won’t be the NGI!) The NGI will simply pass those costs on to you – the Consumer – in the prices you pay for natural gas in your home and for those products that rely on natural gas for their manufacture! Taxes, taxes, taxes … More paid by you and less paid by most Pennsylvania corporations! Tom Wolf as Governor? Not exactly Pennsylvania’s Middle Class Dream now, is it?!? This entry was posted in politics and tagged pennsylvania, politics. Bookmark the permalink.